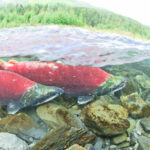 Tell me if this is your definition of democracy: Ramming through a piece of legislation that Congress is not allowed to amend, that the public is not allowed to review and comment on, and that would ultimately surrender control over local seafood resources to foreign companies, while paving the way for cheaper, less regulated product to flood domestic markets. Sadly, this is the crux of the Trans-Pacific Partnership (TPP) trade agreement’s fisheries focus. And it’s now in the House of Representatives’ hands … sort of. On Friday, a block of House Democrats broke with President Obama and voted against a measure granting aid to workers displaced by trade agreements, effectively stopping the “fast track” authority that would have paved the way for TPP. House Republicans have scheduled another vote today. “Fast track” grants the President authority to negotiate trade deals while restricting Congress to a straight up or down vote, with no deliberation or amendments allowed. The theory is to speed approval so the President can sign the treaty that would involve the U.S. and 11 Pacific nations, most or all of whom stand to gain more than the U.S. from the seafood portion of the massive deal. You may have already read something about “fast track” and/or TPP. Supporters say the new pact will boost job creation, wage growth and market access for new goods and services here and in Pacific Rim nations like Japan, Chile, Australia and Vietnam. They also say TPP would ensure signatories abide by strict labor, environmental and intellectual property standards. If this sounds familiar, it’s similar to the underlying philosophy behind the North American Free Trade Agreement (NAFTA), which instead began the process of shifting jobs and resources outside the U.S.
Cheap foreign, farmed seafood could flood the market, undercutting fair pricing from local fishermen. Imported farmed seafood may not meet current US safety standards (read: excess antibiotics, hormones, etc. ), with protections for foreign exporters who claim U.S. safety standards are unfair. Foreign countries or foreign-owned companies could sue local, state and federal fisheries management organizations claiming domestic policies constitute a trade barrier or frustrate a foreign firm’s business plans. This could leave important local fish and food policies vulnerable to trade challenges. For example, a Gloucester, Mass. school board policy to serve only locally sourced seafood in cafeterias could be challenged as an unfair barrier to trade by a trade partner or a foreign company, claiming the policy hurts anticipated earnings. If the foreign country or company wins the dispute, Gloucester would be under tremendous pressure to change the policy, or the U.S. would face sanctions or financial penalties. Other domestic management policies that foreign nations or companies could challenge include: mandatory labeling for genetically modified product and country of origin; and local control over groundfish permits, access to quota, and municipally-controlled licenses for shellfish harvesting and aquaculture by local residents. TPP could pave the way for more non-local ownership/management of resources resulting in higher costs (leases) for local commercial fishermen to harvest those resources and potentially forcing them out of business. Additionally, consumer costs could rise and the profits go outside of the community. If you think these hypotheticals are extreme, look at the recent history of Bumble Bee Foods, the second largest canned tuna producer in the world. The company was sold in 2010 for $980 million to a British private equity firm and then again in 2014 for $1.5 billion to a multi-billion dollar Taiwanese conglomerate. As part of the sale, 23% of the domestic canned surf clam/ocean quahog industry is owned by Thai Union. Translation: If you eat canned clam chowder, you could be profiting someone in Thailand while local clammers are being squeezed out by high lease costs just to harvest. Worse, you’re paying more money for the seafood. So what does this mean for community supported fisheries such as Cape Ann Fresh Catch and other local markets? If TPP is passed, cheap imported farmed seafood could become more available at a lower price than locally caught product. 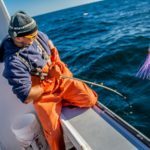 This could force local fishermen out of business and weaken the relationships between fishermen and the community they serve. There is one other wild card. Several other Pacific Rim nations with big seafood operations are not part of the TPP. If China signs, for example, the TPP that was designed to treat with the current list of countries may prove inadequate for dealing with the world’s largest farmed seafood exporter. According to the UN Food and Agriculture Organization, China exported a whopping 43.5 million tons of farmed seafood in 2012, compared to the second largest exporter, India, at over 4 million tons. Put another way, what happens if the largest aquaculture producer in the world, by several times, is allowed to protect its industrial seafood farmers by dictating U.S. policy regarding imports and food safety? All of these possible outcomes under TPP have the potential to weaken local US seafood systems and the quality of seafood available here. If these issues matter to you, take a minute to review some additional resources below. Stay tuned for updates on this issue. U.S. Senators: Find your senators’ contact info here. U.S. Representatives: Find your representatives’ contact info here. 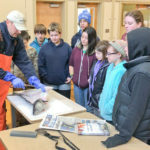 Colles did a great job engaging the students and involving them in the conversation around sustainable seafood choices. 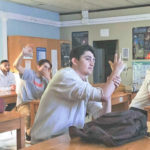 Students commented that his presentation was “eye-opening” and caused them to think about the seafood choices they make, whether at the grocery store or their favorite sushi restaurant. They especially loved the “hands-on” aspect of his presentation, getting familiar with local crabs. Highly recommend!